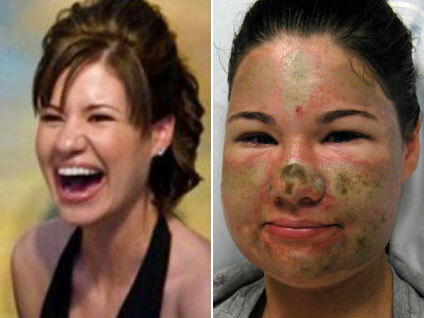 Acid Attack Hoax: Why Did She Say Attacker Was Black? (CBS/AP) Bethany Storro, the Portland woman who claimed that an unknown black woman threw acid in her face, yesterday admitted she'd made up the story. What she can't explain is why she - an attractive woman with a new job - would cause herself horrific pain by searing her face, irreparably, with a substance as caustic as hydrochloric or sulfuric acid. There could be several answers, says Dr. Samuelle Klein-Von Reiche, a psychologist in private practice in Manhattan. "One theory is that it could be for the same reasons that some people cut themselves - to take charge of negative emotions, to feeling something more than numbness, to grant release from psychic pain," says Klein-Von Reiche. Yet permanent disfigurement is extreme for those in the cutting category, isn't it? Another theory, says Klein-Von Reiche, is that Storro views herself "as a victim and is reenacting some physical or psychological trauma." But why did she tell police her assailant was black? Klein-Von Reiche says that the fact that she said it was a black woman is "fascinating." "Of course it could imply racial issues," she says, "But, she says, it might also have been her unconscious way of saying that she did it herself - black could represent the dark side of herself over which she has little control." And there's another theory. Paradoxically, Bethany Storro could be a big narcissist. "We shouldn't minimize the fact that she got enormous notoriety from this," says Klein-Von Reiche, and any sort of attention, positive or negative, is gold for an extreme narcissist. "At its roots, narcissism is voracious."